If we had to pick out just one phrase that was ubiquitous with our childhood, it would probably be this one: time and tide wait for none. It was probably waiting at every corner, forever reminding us of the importance of time. And with good reason, too; as we grew up, we realized that time is indeed one of the most important commodities of the human existence. Whatever we do, we have to do it within a certain time frame. No matter what self help and feel good articles might say, there is actually a right place and time to do things, which makes time management one of the most important skills we should have. 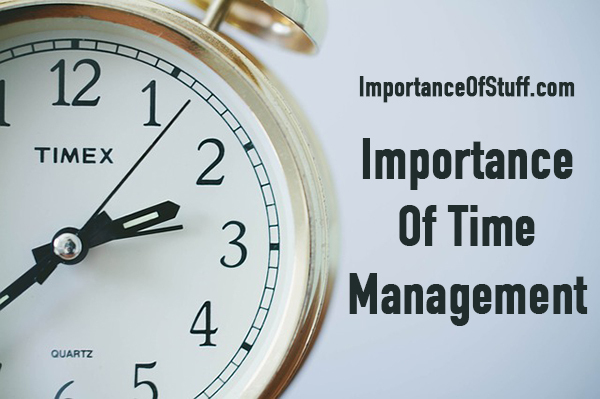 In this article, let us see how time management can help us. When we learn to do things within a limited time, we work with a constant, high momentum. We are aware that we only have so much time at our disposal, so there is no scope of languishing or procrastinating. And because we never leave of taking action, there is no chance of stretching out a work longer than it ideally should require, leading to a lot of things beings done within a short span of time. Naturally, being able to manage time makes us a lot more efficient. No matter how we feel about it, there is only so much time we have in our hands. And that means that we are always running against a deadline, and not finishing something we should have done within a certain time means failing to adhere to that deadline. There is a reason there are certain ages associated with finishing the different levels of education, acquiring a job, getting married, and having children. An average person lives for around 75 years; if one graduates at the age of 40 and then secures a job at 4, there is an awfully less time left to reap the benefits of all that hard work. This is a very, very competitive age we live in. We are always up against millions to reach certain goals. And knowing how to manage time keeps us ahead in this rat race. By managing our time, we meet deadlines efficiently, we finish work before others do, and by virtue of being in the front of the line, have to ultimately contend against fewer people. In any field of your life, be in school or the workplace, you automatically become known as the reliable person if you get things done on time. You know how to efficiently manage time, so you are the person who gets most projects assigned to them, and you are the person who is entrusted with the most important tasks. Needless to say, time management is an important leadership quality, and is the mark of a very responsible person. When you are known for your time management expertise, you are trusted above others, and that translates to better chances of success in life. Time management is, after all, incorporating a lot of discipline into our lives. Suppose you are a college student who simply must hand in an assignment the next day. But there is a party going on at the adjacent dorm, and you really want to attend. By being disciplined, you will show up at the party for a few minutes and get back to finish your assignment, or complete your assignment and then head to the party. By keeping yourself away from what is obviously more fun, you are disciplining yourself to understand the priorities. Knowing how to manage time keeps us from going overboard. We recognize that there is a specific time for everything that we do, and so we do not tend to go overboard with any single activity. There is no scope of neglecting something in favor of the other activity, so the person with superior time management skills will always strike a fine balance between their personal and professional lives. Time management is indeed one of the most important life skills we need. And like every other life skill, this is something that we are not born with, but need to acquire. But, all said and done, it is also important to understand that time management does not necessarily mean immersing ourselves in the effort to meet deadlines and get things accomplished. Taking a break is an equally important part of time management; we should know that there is a time to step back and look around and enjoy the benefits of our hard work; otherwise, we will only get burned out and ultimately fail to accomplish everything we meant to.